Our eyes are surrounded by extremely delicate skin, much thinner than the skin on the rest of our face and body. With almost no oil glands and minimal underlying fat, regular use of eye cream to keep the skin plump and supple is essential. An under-eye serum containing retinol will work wonders to help rebuild dermal collagen and support the recovery of skin volume and firmness. (tip: a little goes a long way). 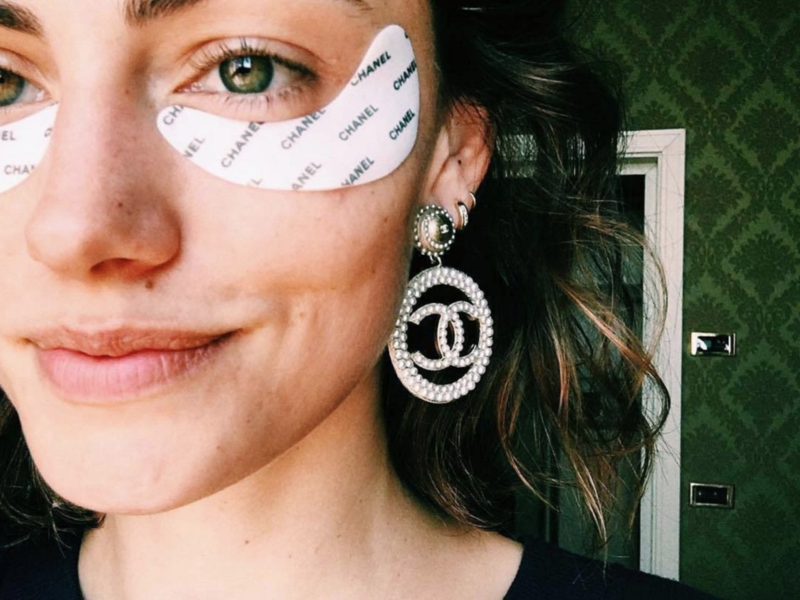 Invest in a cream eye mask or patches if your skin is particularly thin or dehydrated. For professional treatments in this area, there are a couple of options. I recommend a simple enzyme or lactic acid peel, teamed with light therapy to plump, brighten and hydrate or laser to stimulate collagen while removing unwanted pigment and surface vessels to both lighten and brighten the area. DIY solutions like cold cucumber slices on the eye are effective in de-puffing, which can lessen the severity of dark circles. If you’re out of cucumber, try soaking two tea bags in warm water, then leaving these to chill for 10 or so minutes in the fridge. Place one tea bag on each eye for at least 4 minutes. The caffeine will help your eyes look fresh and bright again. Of course, I always opt for a holistic approach when it comes to skin health, and the same philosophy extends to the under-eye area: no smoking, as much sleep as possible, minimise exposure to stress and a maintain a wholesome, anti-inflammatory diet. Lots of water is always of paramount importance. It’s easy to neglect the under-eye area when it comes to sun protection, so ensure your sunscreen is also applied to the skin surrounding your eyes and opt for sunglasses with UV filters. If you’re in the midst of making changes and need a quick-fix in the meantime, makeup is your best friend. Opt for a yellow-based concealer to brighten the area and cover dark circles.